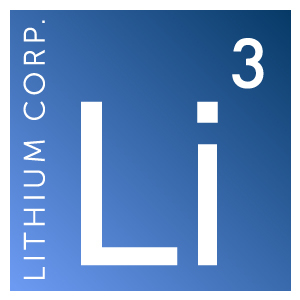 Elko, NV – February 23, 2018 – Lithium Corporation (OTCQB:LTUM) (“LTUM” or “the Company”), a North American company focused on energy metals for the growing energy storage sector and high tech industries, is pleased to announce that it has amended the agreement on the Yeehaw, Michael and Three Valley Gap Tantalum/Niobium/Rare Earth Element (REE) properties in British Columbia. Lithium Corporation has informed Bormal Resources that while the Company is excited to continue on with the Yeehaw REE property, it will no longer seek to earn any interest in the Michael, and Three Valley Gap properties under the March 17th 2017 option agreement. The parties have agreed to decrease the final tranche of shares of the Company to be issued as stipulated in the agreement from 750,000 to 400,000. Once the shares have been issued Lithium Corporation will have earned its 100% interest in the Yeehaw property. Recently the Company increased its landholding here from 3,137 acres to over 8,355 acres, and is currently planning its Spring/Summer 2018 work program.